I begin in electronic, so sorry if my question is bad. 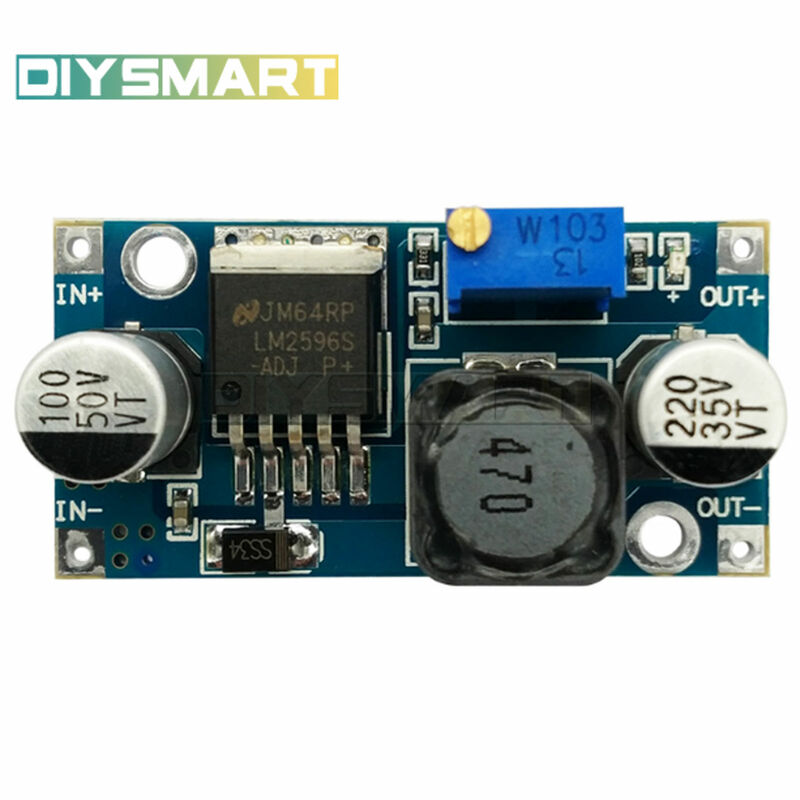 Can a LM2596 step-down converter accept 12V 8A as input ? I can read everywhere that the maximum output current is 2A or 3A but nothing about input current. 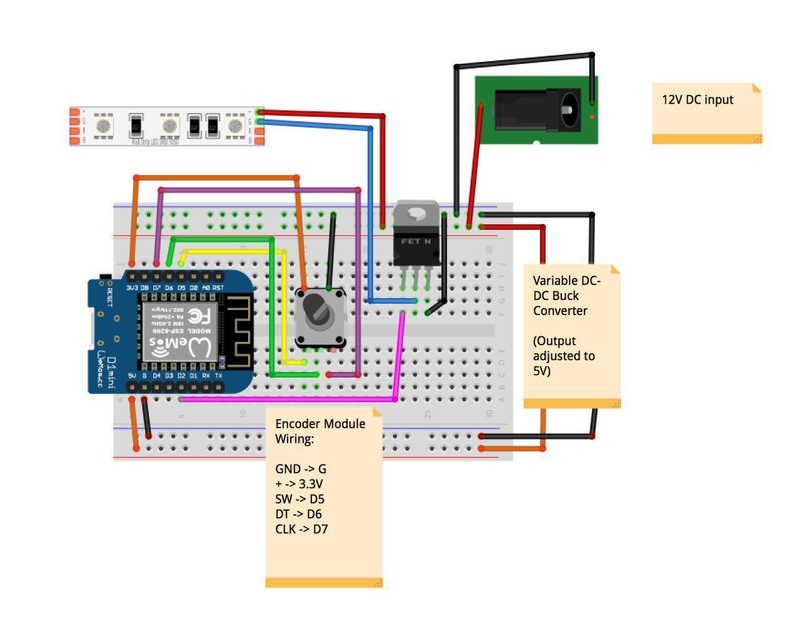 I have a 12V 8A DC Power supply to power a 5M 5050 LED strip (I know 3A is enough) and I want to power my Wemos D1 Mini Pro with 5V. You can use it so long as you take no more than 3A out of it. If you're buying one of these LM2596 modules online, taking more than 1.5A out of them tends to cause them to overheat and shut-down. It looks fine in your application, as it's only running the small logic module. I'm concerned about the MOSFET. if the LED strip wants several amps the current through it could overheat the solderless breadboard. In that case run a wire directly from the 12V socket to the MOSFET and another from the MOSFET to the strip and a third from the strip to the socket so that the LED current does not flow through the fragile solderless breadboard. Not the answer you're looking for? Browse other questions tagged converter step-down or ask your own question.